We identified employee payroll as a high risk for potential inaccuracy and abuse following an audit of the pension payroll process, reported in March 2004. We found that the city has administered overtime, compensatory time, and leave accruals inconsistently. 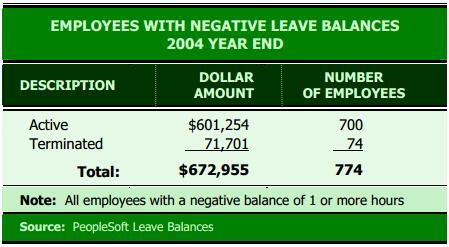 We identified at least $1.8 million in payroll errors between January 2002 and July 2004. The total number of errors was likely higher because many of our specific tests were not universal. The city has 1,156 unclaimed payroll checks totaling $469,071. 23 city employees had inappropriate access to create master files, maintain master files, and process payroll. While we found no fictitious employees, weak system controls could allow fictitious employees to be on the payroll. We recommended the city move toward eliminating physical paper paychecks to protect both the city and employees. We also recommended that the commissioner of human resources should continue to review position classifications while correcting errors. If not corrected, these inaccuracies risk bringing fines on the city.